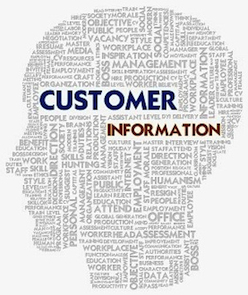 What Does It Take To Really Know Your Customers? Is it possible to know what your customers want? Knowing and understanding your target customer is not as easy as it sounds. And companies that know their customers as well as they know their families are few and far between. Knowing a customer to depth is the key characteristic of highly effective companies. Not long ago I was invited to be part of a Design Council with retailers and interior designers with Karndean Design Flooring. Karndean is a 40 year family-owned business out of the UK. The two-day session was moderated by Product Manager Jenne Ross and National Account Retail Manager, Tim Hanno. Unlike a focus group, the Design Council was interested in finding out the challenges faced by their customers. The purpose of the group, is to get to know the customers better and understand their needs. To build better products, a business has to understand their customer’s challenge. I have moderated focus groups in the past and have found them to be useful; unfortunately, it’s a small segment of the marketplace and just because they like a product doesn’t mean they can sell it. It’s more practical to understand their trials with the customer. Then you can go back and determine what products will fit their needs. I remember conducting a focus group for an area rug company; the product was unusual, ahead of its time and filled a high end niche. The product eventually sold out at discounted prices; the manufacturer did one product run, and that was it. Different than a focus group, the Design Council brought in customers who understood their market and their customer. For a manufacturer, it’s wise to be consumer savvy. The real value is understanding what hurdles your customer faces in getting the product to the end user. Consumer information is certainly useful, but the challenges faced by the seller are even more important. Just because a customer likes the product doesn’t mean they will buy it! If you know what they buy and what they spend maybe in direct opposition to what they like. There is no question that as a shoe lover Manolo Blahnik is on the top of my “love” list. However, spending the money on them is a different story. Unless you sell directly to the end user, how will you know what the customer wants to buy? Karndean can use this information, along with what they glean from their other groups, to determine how they can help their customers sell their products. Karndean is not a stranger to roundtable discussions. They recently held one on color and style at the Material Pub in London, with top interior designers and architects. Getting to understand the hurdles that your customer faces will help a manufacturer get their product to the marketplace and build trust with their customer. Eventually, the bottom line is the bottom line, and the buck starts there. Lisbeth Calandrino is Associate Publisher of Fabulous Floors Magazine and Director of Social Media. To schedule a consultation or have her speak at your business, she can be reached at Lcalandrino@nycap.rr.com.